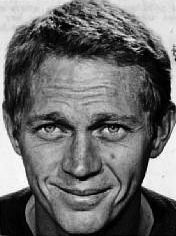 Terence Steven "Steve" McQueen (March 24, 1930 – November 7, 1980) was an American actor. Called "The King of Cool", his "anti-hero" persona developed at the height of the counterculture of the 1960s and made him a top box-office draw of the 1960s and 1970s. 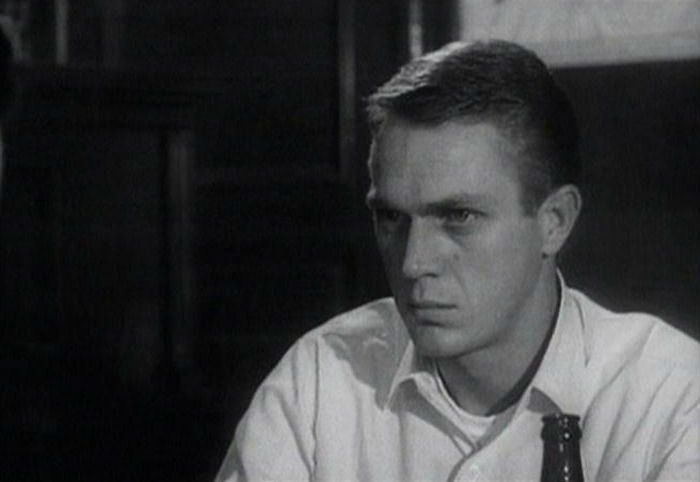 McQueen received an Academy Award nomination for his role in The Sand Pebbles. His other popular films include The Cincinnati Kid, The Thomas Crown Affair, Bullitt, The Getaway, and Papillon, as well as the all-star ensemble films The Magnificent Seven, The Great Escape, and The Towering Inferno. In 1974, he became the highest-paid movie star in the world, although he did not act in films again for four years. 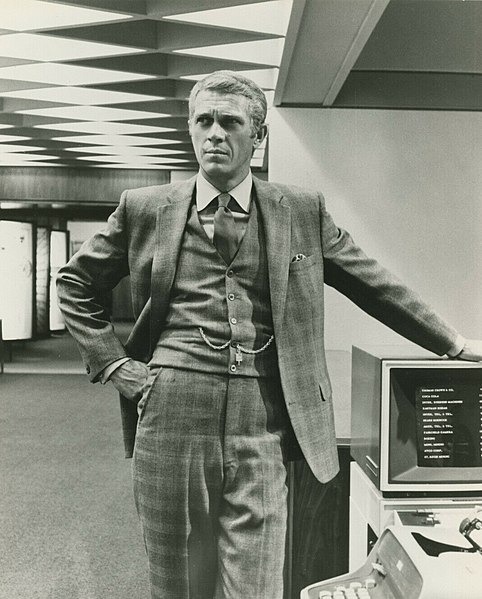 McQueen was combative with directors and producers, but his popularity placed him in high demand and enabled him to command large salaries. Read more on Wikipedia.